Werder Bremen head coach Florian Kohfeldt has been rewarded for turning around the club’s fortunes by being given a new long-term contract. 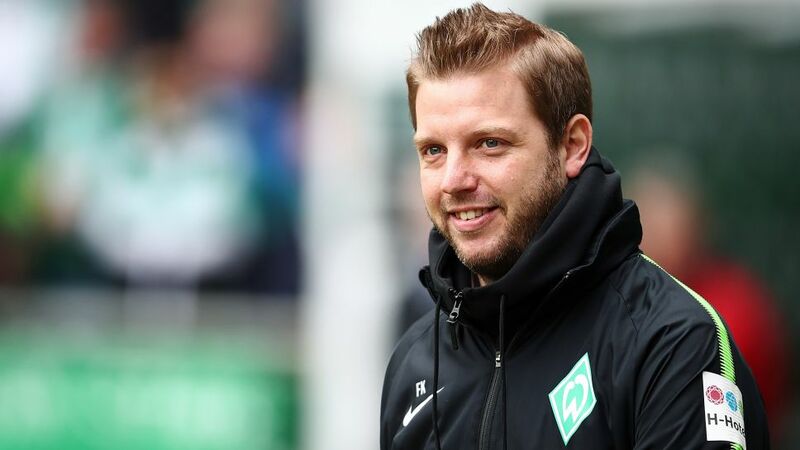 The 35-year-old, who has steered the Green-Whites from second bottom to 12th in the standings since taking over in November, has inked a deal that will keep him at the Weser-Stadion until 2021. Bremen started the season with a 10-game winless run, and Kohfeldt was handed the reins until the end of the campaign shortly after Alexander Nouri’s dismissal on 30 October. In his first game in charge Bremen were beaten 2-1 at Eintracht Frankfurt on Matchday 11, but they extended their current unbeaten run to five matches with a win in the reverse fixture against the Eagles last weekend. The Green-Whites have yet to lose a home game in all competitions under Kohfeldt – winning seven and drawing three – and are now 10 points clear of the relegation play-off spot. In 18 league matches with the club’s former youth and reserve team coach at the helm, they have collected 31 points.